Chelsea winger Eden Hazard says he will wait until the end of the season before deciding his long-term future. 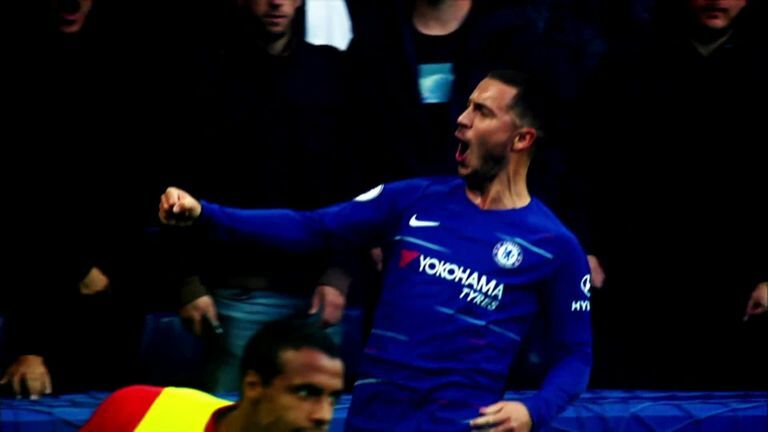 Hazard passed 100 goals for Chelsea in a 2-1 win over Watford on Boxing Day and in his post-match interview, the Belgium international stated his desire to become a club "legend" at Stamford Bridge. 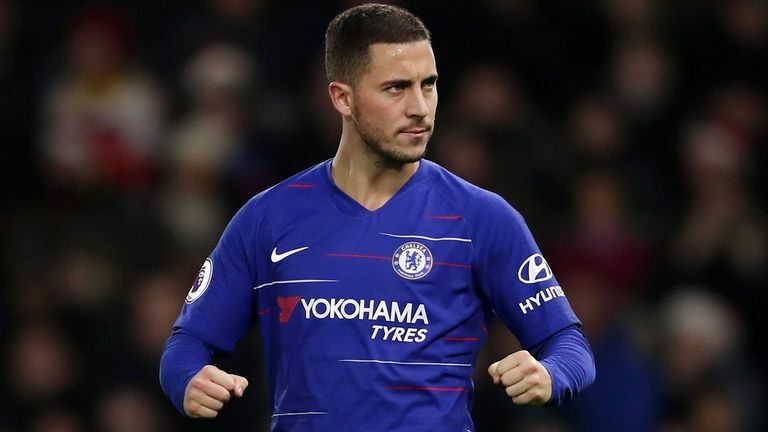 However, Hazard is yet to commit his long-term future to the Blues and has previously admitted he is torn between signing a new contract at Chelsea and moving to Real Madrid. As Eden Hazard hit his 100th goal for Chelsea, take a look at some of the best goals the mercurial Belgian has scored since arriving at Stamford Bridge. Hazard's current deal expires in 2020 and the winger insists he is in no rush to resolve his long-term plans. "To be fair, I'm just focused on the pitch, and we'll see at the end of the season," he said. Hazard has already scored 10 goals and provided nine assists in the Premier League this season and the Belgian is enjoying playing in a 'false nine' role under Maurizio Sarri. "I'm scoring more goals, I don't feel I'm playing better, I'm just scoring more goals," he said. "I don't know why, maybe I'm just nearer to the goal. My position is winger. I feel better as a winger, but [against Watford] I did well as a striker, and against Brighton I did well as a striker. "The manager chooses where to put me on the pitch and then I try to do my best." 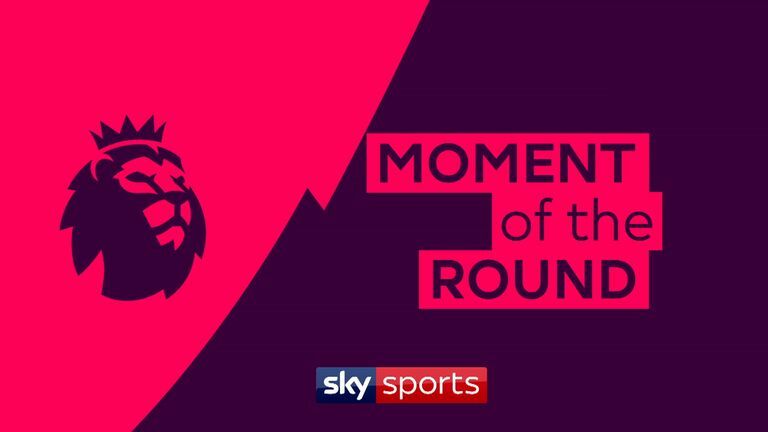 Ref Watch: Was Salah penalty right call? How do PL 'big six' compare to 17/18? Chelsea travel to face Crystal Palace on Sunday, live on Sky Sports Premier League, and Hazard is determined to add to his goal tally against the Eagles. He said: "If you score 100, you want to score more, so I'll try to score more goals. I've scored a couple of good ones through the years, so I can't choose my favourite."